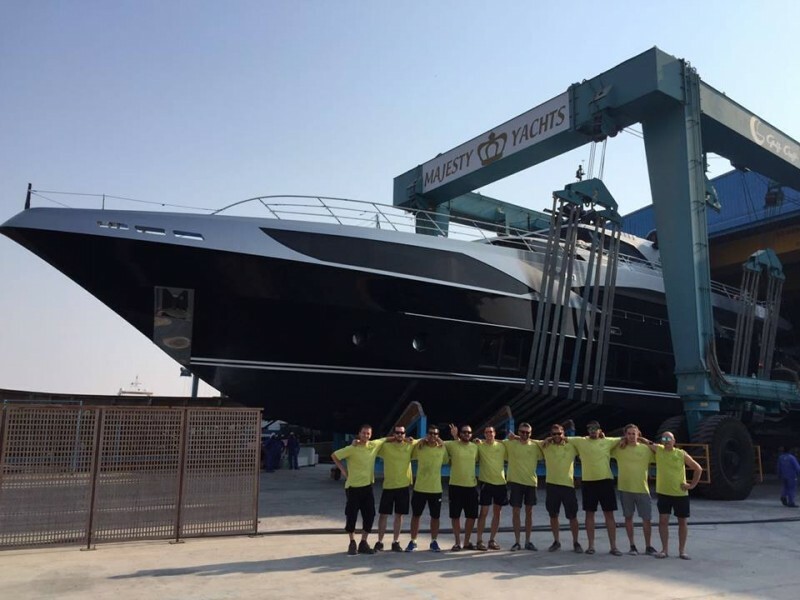 The Wild Group’s ‘Team In Lime Green’ recently travelled to Dubai and successfully completed the full superstructure wrap for 37m M/Y Ghost II. ‘Wrapping as a finish for metallic silver carries the benefit that future repairs are straightforward and will not have the ‘halo’s’ that metallic paint repairs suffer from. Trying to achieve this finish in spray is very difficult and time consuming. 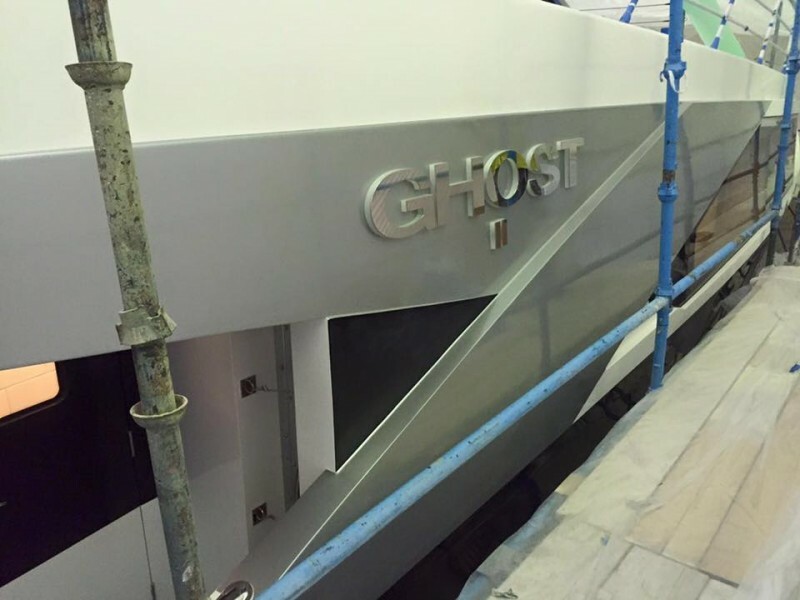 There is also a major benefit with a film finish to the shipyard, in that they can continue with clean works while we are wrapping. 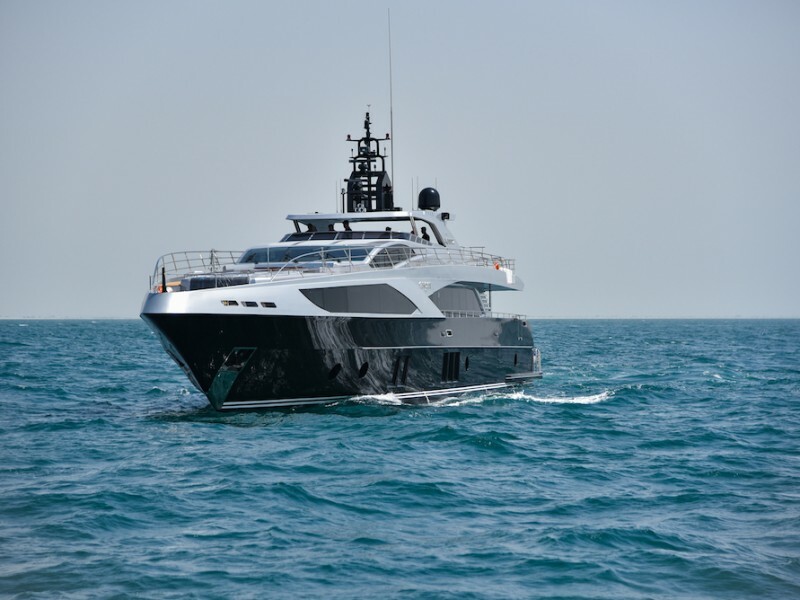 In the case of M/Y Ghost there were even changes to the superstructure after we had wrapped them – these changes were very easily accommodated by our team. Click here to view her on sea trials in The Superyacht Times.